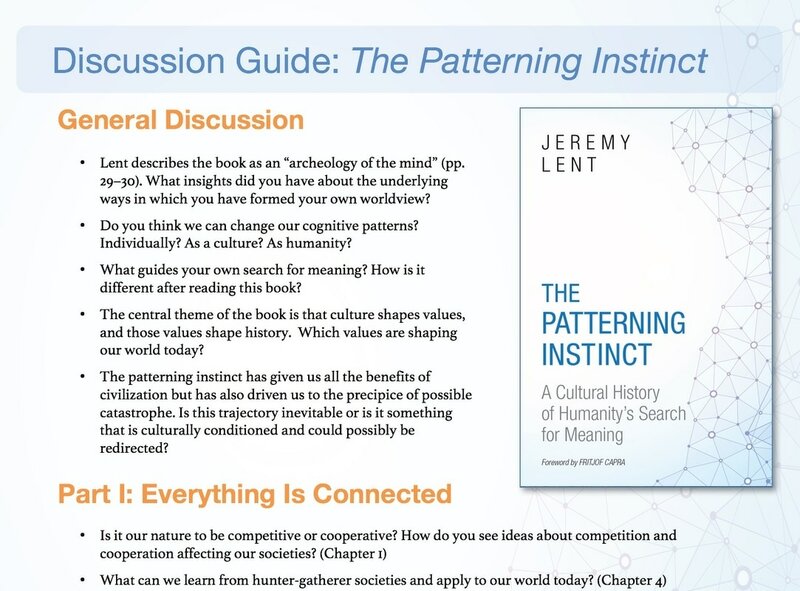 The Patterning Instinct can be a perfect book for discussion in book clubs. It asks deep questions that can stimulate enjoyable and far-ranging exploration of ideas. This Discussion Guide has been produced to help spark creative and interesting conversations. While it is intended for groups, it can also be used by teachers in a classroom setting, and to provoke new ideas for individual readers interested in deepening their own insights.